SAN Miguel overcame a gritty stand by Phoenix Pulse, 92-82, in a tense Game Two of their PBA Philippine Cup semifinal series at the Smart-Araneta Coliseum. Marcio Lassiter led a decisive finishing kick that saw the Beermen pull away from a 76-76 deadlock and take a 2-0 lead in the best-of-seven semifinal series. Lassiter topscored for the Beermen with 24 points, none bigger than the three-pointer he hit that put his team ahead for good, 84-80, with two minutes left. 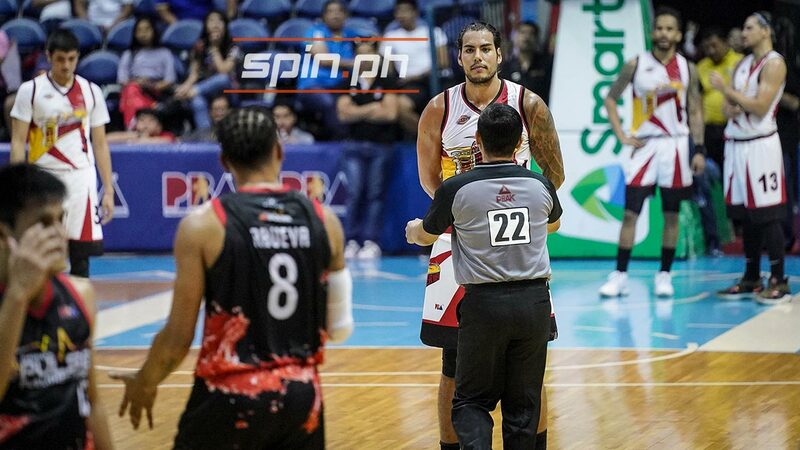 The Beermen won despite trailing by as many as 12 points in a highly physical match marred by a second-quarter skirmish with Calvin Abueva that led to the ejection of SMB big man Christian Standhardinger. “We are lucky we were able to escape this game as a winner. We know from the start, it will be a hard game for us because we were expecting them to play really hard,” said San Miguel coach Leo Austria. “It was very evident in the first half. Everything that we do, they know how to stop us and disrupt our offense. Fortunately, [my players] refused to lose. They know the importance of this game,” Austria added. June Mar Fajardo tallied 19 points and 18 rebounds, while Terrence Romeo added 14 points including eight in the Beermen's 16-6 blast to close the game. Abueva had 16 points and 10 rebounds while Matthew Wright had 13 points for the Fuel Masters, who squandered a 40-28 second quarter lead. San Miguel 92 – Lassiter 24, Fajardo 19, Romeo 14, Pessumal 8, Cabagnot 8, Ross 7, Santos 7, Tubid 3, Standhardinger 2, Ganuelas-Rosser 0, Nabong 0. Phoenix Pulse 82 – Abueva 16, Wright 13, Perkins 12, Jazul 12, Chua 12, Mallari 8, Intal 4, Kramer 2, Marcelo 2, Mendoza 1, Revilla 0. Quarters: 13-21; 37-46; 63-63; 92-82.